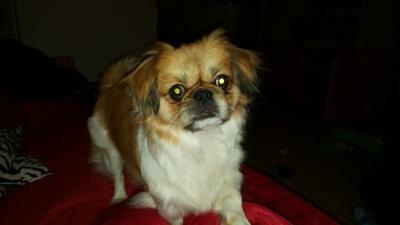 I purchased two Shih-Tzus from a breeder in Texas. Originally, except for their color, they looked the same. They were from different litters and born 5 days apart. As they matured, my tri-color, Bella, began to look noticeably different. Her temperament was also very different. She is quite the little dare devil, very strong willed, and EXTREMELY SMART!! She has a very loving personality.... when she feels like it. 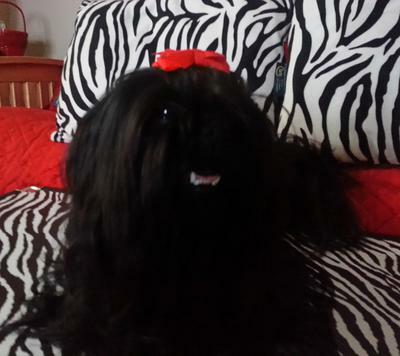 My chocolate, Coco, is the traditional Shih-Tzu.... long hair, sweet-tempered, gets her feelings hurt easily. Bella on the other hand, well let's just say she doesn't often get her feelings hurt.... BUT when she does, she can pout with the best of them!! I feel so blessed to have one each, they complement each other and are inseparable. 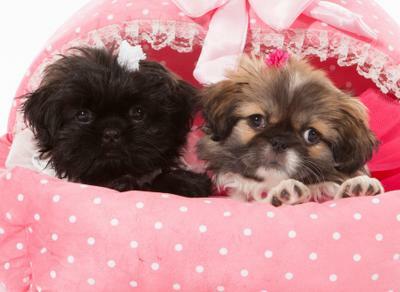 Anyone fortunate enough to get a prapso should feel very lucky - as they really are the "miracle Shih-Tzu"
I think most people would agree that Prapso puppies are definitely different, but better in some ways. AND, you are so right when it comes to calling them a "miracle" as I doubt that most breeders have figured out how to breed them consistently. Unless people are showing their Tzu, all the hair these dogs grow is usually clipped and kept short. We love the Shih Tzu personality, but not necessarily the hours of grooming needed to keep a long haired Shih Tzu looking great. Which, begs the question, "Are Prapsos the trend of the future with these dogs? Comment and give me your opinions.